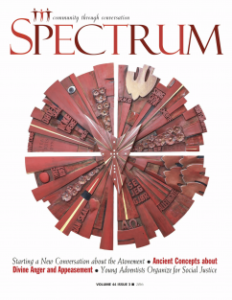 Adventist Forum, publishers of SPECTRUM and spectrummagazine.org, is an independent, progressive, non-profit organization committed to promoting community through conversation in the Seventh-day Adventist Church. I received an invitation earlier this year to participate in their annual conference on nonviolence this fall in Silver Spring, Maryland. Nonviolence and the Atonement was the topic chosen. Gregory Boyd of Woodland Hills Church and reknew.org was their keynote. Other presenters included William Johnson, Keisha McKenzie, Jean Sheldon, Richard Rice, Charles Scriven, Ronald Osborne, and myself. I’ve been told the presentations were recorded and will be posted online shorty. Boyd gave three presentations, two of which were followed up with responses by Sheldon, myself, Johnson and McKenzie. On Sunday, four final presentations were given by Sheldon, Osborn, McKenzie and then, myself. Some of the highlights of the weekend were calls to understand the violence of Jesus’ execution through the lens of the experiences of those already on the underside of our society. Sheldon gave an excellent presentation on Babylonian culture, Hebrew culture and the relevance of those cultures’ influences on our various interpretations of the atonement. Osborn gave a superb summary of the work of the late René Girard. McKenzie’s presentation, The Violence of Silence, named the violence of how the Adventist church has remained silent throughout most of its history in matters relating to justice for the oppressed. Two of the silences named were Adventist’s silence in the face of Native American injustice during the formation of the Adventist faith tradition, and the later silence in regards to slavery in the South as Adventism’s borders expanded. As an option in our efforts toward understanding the Jesus story in a way that empowers us to embrace Jesus’ radical teachings on nonviolent resistance, survival, liberation, restoration and transformation, I offered listening to the voices and experiences of those outside of male dominated theories from Europe and America. (I’ll give a list of some of the quotations I collected for this presentation at the bottom of this entry. *) These voices offer viable alternatives to understanding the Jesus story. These experiences, as well as the theologies that arise out of these experiences include the critiques and alternatives of Liberation theologians, Black Liberation theologians, Feminist theologians, Womanist theologians and even our Queer theologians. The alternatives that arises out of these broader and more varied experiences I believe offer much promise and hope for positive change, not just in how we interpret the Jesus story itself, but how our stories may become more holistically aligned with his as we work together in our world’s maturing toward a safe, more compassionate, less violent home for us all. I want to deeply thank the Adventist Forum for the invitation to participate in this year’s conference. I met so many wonderful people. I also had the chance to meet a few scholars/teachers, who were in attendance, that I have desired to meet for years. And to those of you who follow Renewed Heart Ministries from all over the U.S and Canada who choose to attend this conference, thank you, too! It was such a pleasure to spend time with each of you during the weekend. This was the highlight of my year. To all who participated in this weekend, either organizing, presenting, or attending, thank you. I’m deeply grateful for the space we shared together. This weekend was a welcome reminder that the future remains bright! Here’s to a world where all violence, oppression and injustice have been put right. I’ll post a link to the presentations as soon as they are available. Here is an additional link to an interview I gave leading up to this event. *James H. Cone, A Black Theology of Liberation: “What is most ironic is that the white lynchers of blacks in America were not regarded as criminals; like Jesus, blacks were the criminals and insurrectionists. The lynchers were the “good citizens” who often did not even bother to hide their identities. They claimed to be acting as citizens and Christians as they crucified blacks in the same manner as the Romans lynched Jesus . 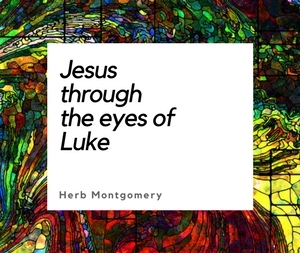 . . White theologians in the past century have written thousands of books about Jesus’ cross without remarking on the analogy between the crucifixion of Jesus and the lynching of black people.” (pp. 158-159). Elizabeth Bettenhausen; Christianity, Patriarchy and Abuse: “Several years ago I asked a group of seminarians to choose New Testament stories about Jesus and rewrite them imagining that Jesus had been female. The following recreation of the passion story of Luke 22.54-65 was on woman’s knowing by the heart.